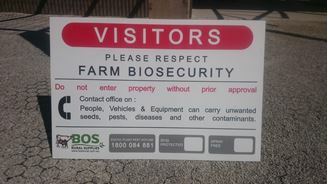 Biosecurity entrance signs from Bos Rural - 900mm X 600mm. High quality corflute. 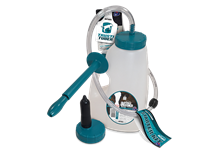 Includes "Spray Free" optional tick box ideal for Organic or chemical free producers. $35 inc GST pick-up price Kandanga or $22 freight regardless of quantity. 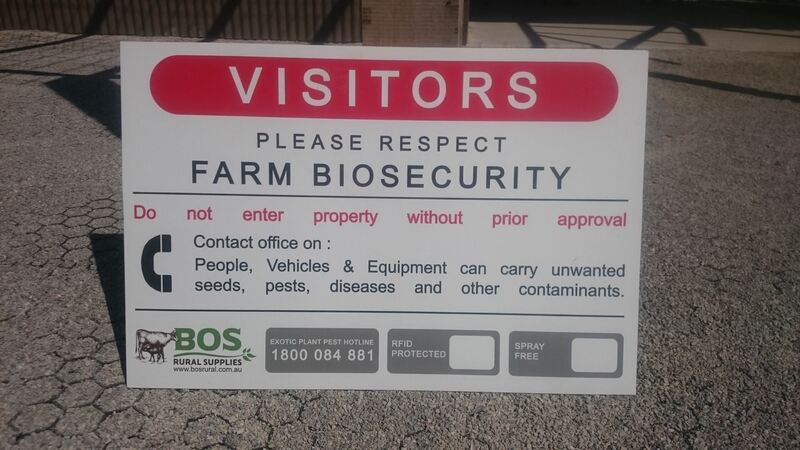 Our Biosecurity Signs are used to indicate to visitors the importance of following biosecurity procedures on your property. Our signs have space for you to enter a phone number so that visitors can contact you for permission before entering. New signs include option for RFID identificatoin - please contact us if theft of signs is an issue in your area.